Medical Design & Manufacturing (MD&M) West is where serious professionals find the technologies, education, and connections to stay ahead in the global medical manufacturing community. 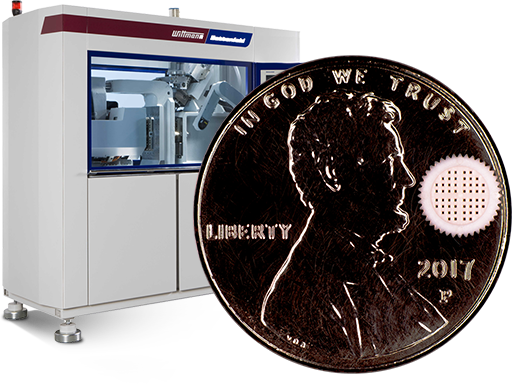 Mold Craft will be demonstrating micro molding in the Wittmann Battenfeld show booth 3861 where we will be molding micro parts and discussion production quality prototypes. MD&M West located at the Anaheim Convention Center in Anaheim California. Mold Craft will present ±.0001” precision tolerance micro molding of POK parts weighing only .007 grams. 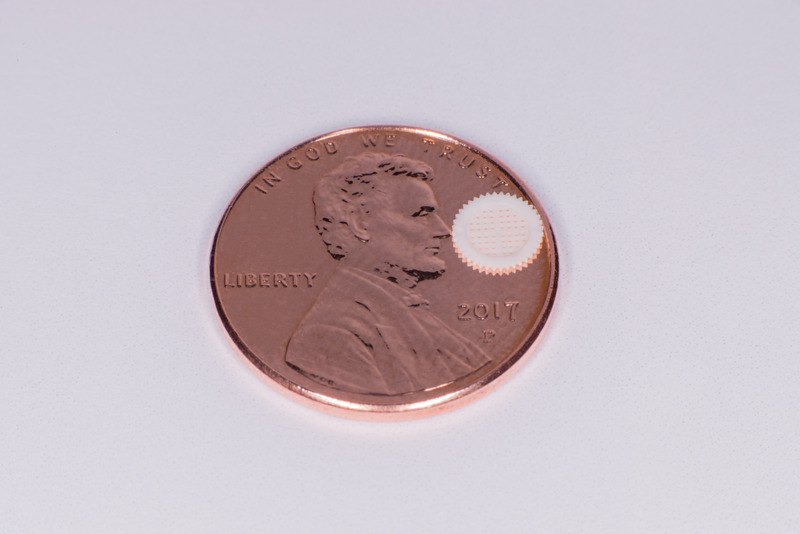 We will be molding a 100µm Filter Screen, using a 2 cavity, 3 plate micro mold with one “A” side and 2 “B” sides featuring .004” x .004” shut offs and .002” radii. The Micro Mold will be running on the energy and cost efficient Wittmann Battenfeld MicroPower 15t precision press featuring a rotary platen, EOAT and robot with camera for optimized performance. Our goal is to get you Production Quality Parts in a prototype micro mold and quickly provide you proof of concept. You may be developing a new part intended to run a micro mold, or you may be considering a conversion from conventional molding to micro molding. At Mold Craft we care about everything, most importantly, our customers. To that end, we offer many time saving conveniences for those who choose to do business with us. With timelines being what they are today, we now offer a new service called Production Quality Prototypes (PQP). This process helps minimize the time to take a custom molded part project from design to sample molded parts. Mold Craft has developed a specific program where we own the mold base and molding tool steel which will reduce your upfront costs. We custom design the molding steel around your specific part exactly to your specifications with the ability to mold any plastic resin. The custom components that will need to be built consist of cavity inserts, ejector pins and an ejector retainer plate. As a result, you will receive molded parts that will meet your print and model. There are no limitations on corner radii or tolerances. It is built like a production mold. Mold Craft, Inc. has been Designing & Building Molds since 1964 and will be demonstrating micro molding. Mold Craft manages a clean and well managed tooling shop with high-tech, state-of-the-art machines and robotics with motivated employees that embrace this technology and strive to use it to its fullest potential. The mold makers at Mold Craft are craftsmen from the initial production meeting to the final assembly and packaging. Mold Craft is perfection driven for perfection driven opportunities. Come see us in Booth 3861 at MD&M West February 5, 2019 through Thursday. February 7, 2019. Wittmann Battenfeld is the only manufacturer offering plastic processors worldwide a complete range of innovative robot automation and injection molding machine technology, along with auxiliary equipment for material conveying, blenders, dryers, granulators, and temperature controllers. They provide ONE STOP SHOP solutions for individual work cells to fully integrated systems, and have the advantage of providing the technology to integrate everything together. They also have a worldwide sales and service network, which provides award winning local service and support.